The Japanese government has announced that it will leave the International Whaling Commission (the body that regulates whaling) to resume commercial whaling in the coastal and offshore waters around Japan. This shows a blatant disregard for international agreements and conservation efforts. 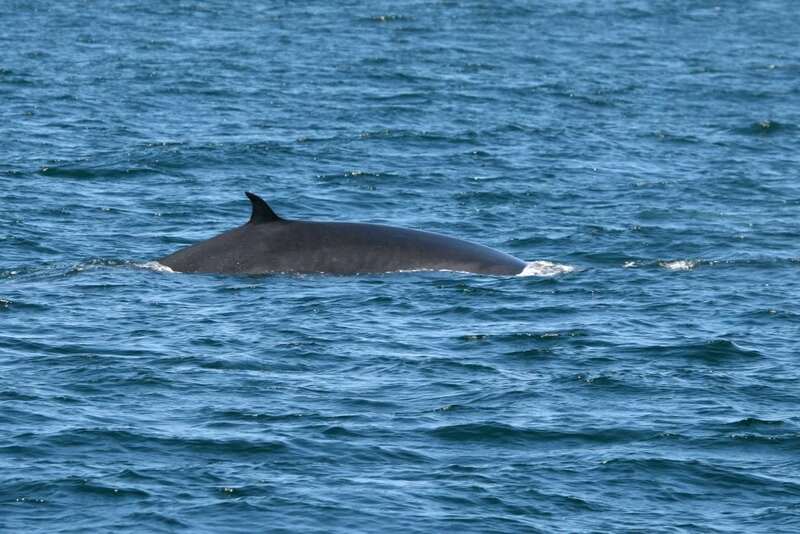 Japanese hunters will kill sei, Bryde’s and minke whales in the same way that they kill around 3,000 dolphins and ‘small’ whales every year - in unregulated hunts with no accountability. Please email the Japanese embassy in your country. Tell them that this is unacceptable. Here is a template email for you to copy and paste, but please add your own comments as your concern will be taken more seriously if the recipient can see that it is something that you genuinely care about. Address your email either to Mr or Madam Ambassador depending on their gender. (For Scotland, England, Wales and Northern Ireland, it's Mr and for Ireland, it's Madam. For others, you can find out on the Embassy website). I am writing to express my concern and deep disappointment about the Japanese government´s announcement to leave the International Whaling Commission (IWC) and resume commercial whaling in Japan´s coastal waters and Exclusive Economic Zone. Japan is a globally respected member of the international community. The continuation of Japan´s scientific whaling programmes in the Antarctic and North Pacific have long tarnished Japan´s international reputation. It is deeply regrettable that by now leaving the IWC, Japan is setting a dangerous precedent and endangers the biggest conservation success of the last decades - the moratorium on commercial whaling, as well international efforts for the continued recovery of whale populations. Withdrawing from the IWC is in stark contrast to Japan´s efforts towards multilateralism and international cooperation. By leaving the IWC and resuming commercial whaling, the Japanese government risks jeopardising international relations between Japan and other countries, putting the Japanese economy at risk of being negatively impacted by the whaling interests of a few. I urge the Japanese government to reconsider its decision and stop its plans for the resumption of commercial whaling. Instead, news of Japan abandoning whaling and instead joining international efforts for the conservation of whales and moreover, our ocean ecosystems and shared natural heritage, would be welcome news for which your government would be congratulated and praised. If you are elsewhere in the world, this website will help you find your Japanese embassy. If you are on Twitter, you could also tweet your concern to the Japanese Embassy in London: @JAPANinUK and the Japanese Ambassador to the UK: @AmbKoji. Thank you for getting involved. For the sake of the whales, we need the world to show that this won't be tolerated.